Before I could say the word veterinarian, I knew I wanted to be an “animal doctor”. All my teachers discouraged me, saying, “They don’t let girls be veterinarians.” Fortunately, my mother said I could do whatever I wanted. 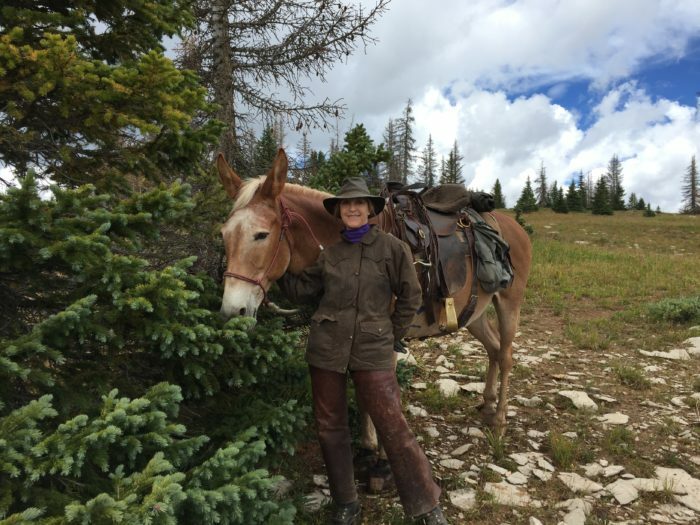 In veterinary school, my professors agreed, I would make a good horse doctor, but they said, “The old ranchers in Durango will never accept you.” However, the old ranchers that called me treated me with respect, saying, “Yes ma’am; no ma’am. It sounds like you know what you’re talking about little lady.” One man even added, “and she’s a damn sight better to look at than Harry.” Thankfully, I followed my dream. I graduated from Fort Lewis College in Durango, Colorado in 1981 and continued into veterinary school at Colorado State University, graduating in 1985 as a Doctor of Veterinary Medicine. In 1996, I attended the International Veterinary Acupuncture Society certification course, and from there, I continued the study of Traditional Chinese Veterinary Medicine with Dr. Huisheng Xie. I traveled to China in 2000 with him for advanced study, and completed the Chi-Institute modules on Chinese herbal medicine, Tui-na, and Food Therapy. I also wrote a text book chapter for Dr. Xie’s book, Practical Guide to Traditional Chinese Veterinary Medicine: Emergencies and Five Element Syndromes, (2014).